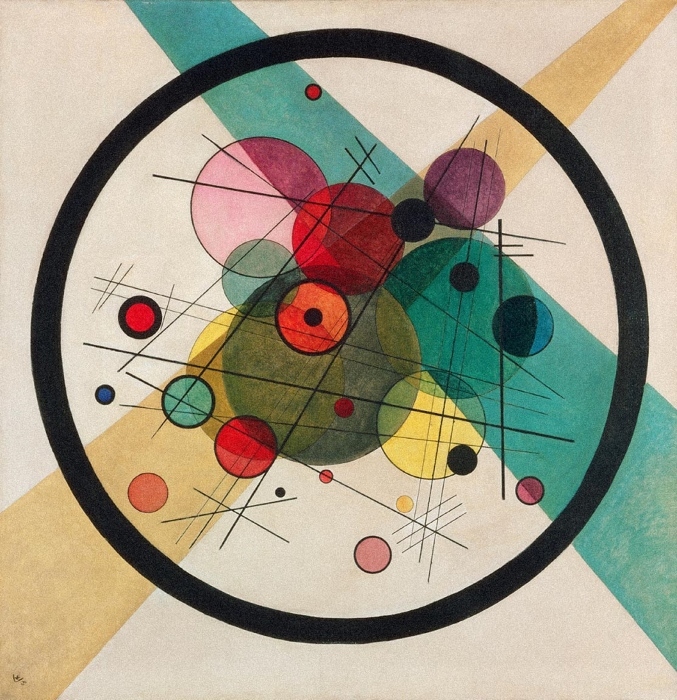 Modern Times, an impressive collection of 50 masterpieces from the Philadelphia Museum of Art (PMA) opens tonight at the Tel Aviv Museum of Art. Spanning a period of about 90 years, from the end of the 19th century to the mid- 20th century, the exhibit will be shown in the Sam and Ayala Zacks Pavilion from October 12, 2018 through February 2, 2019. Curator Jennifer Thompson, The Gloria and Jack Drosdick Curator of European Painting and Sculpture at PMA and Suzanne Landau, Director and Chief Curator of the Tel Aviv Museum of Art, offered insights into the exhibit in a preview tour for journalists. “It truly has been a remarkable collaboration,” said Jennifer Thompson, and indeed, as the exhibit was originally designed to be shown only at the Palazzo Reale in Milan, where it recently closed on September 2, 2018, the swift and smooth transition reflects the close cooperation between the museums. Organized essentially in chronological order, in a spacious and serene setting within the Tel Aviv Museum, the exhibit offers visitors an opportunity to follow the development and different expressions of those artists now recognized as masters, who were considered rebels in their time. Although the first painting in the exhibit is a Manet, the eye is almost immediately drawn to Mary Cassatt’s Woman with a Pearl Necklace in a Loge (1879). 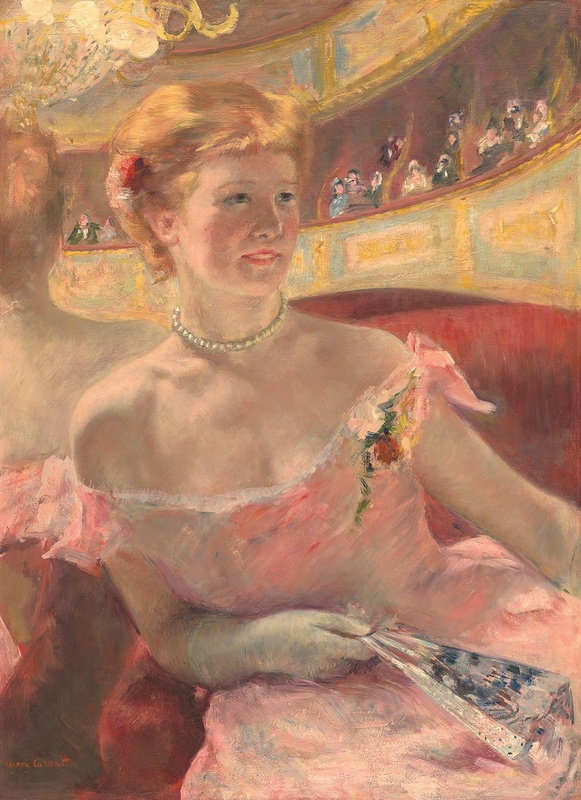 Illuminated by the lights of the Paris Opera, the woman (Cassatt’s sister Lydia) appears lit from within, a slight smile of anticipation dancing on her lips, as she sits in a pink evening gown with her back to a mirror, the grandeur of her vista – the opera and its colorful audience, seen as a reflection behind her. Cassatt trained at the Pennsylvania Academy of the Fine Arts before coming to Paris. As a woman, she was not admitted to the École des Beaux Arts, and studied privately, as well as copying from paintings in the Louvre. “Cassatt arrives in Paris in the middle of 1870s, submitting works to the salon and having uneven success and within a few years meets Camille Pisarro and Claude Monet, and in particular Edgar Degas, and they invite her to join their group,” Thompson explained, adding that the Impressionist exhibits were “an opportunity for the artists to show their work because they were rejected by the salon.” The painting Woman with a Pearl Necklace in a Loge was exhibited by Cassatt at the 4th Impressionist Exhibit in 1879, along with several other works. Thompson noted that the painting, currently set in an ornate gold frame, was probably originally in a flat, green frame (most of Cassatt’s original frames were lost over time). At that exhibit, Cassatt, who came from a wealthy family, purchased two paintings, one by Monet, and one by Degas, intended as a gift for her brother Alexander. 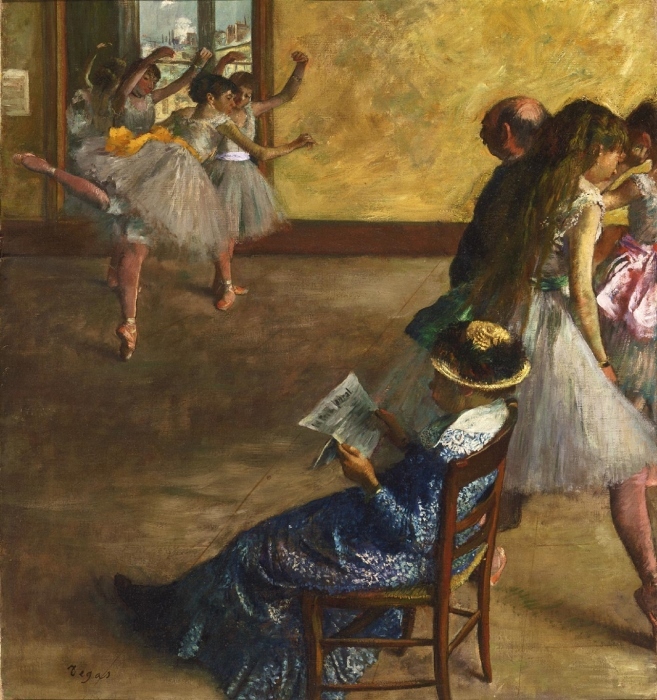 The Degas, The Ballet Class, hangs next to the Cassatt, the proximity of the paintings reflecting the close working relationship between the two artists. Thompson recounted the painting’s quirky backstory: when Cassatt bought the painting, Degas asked to have it back so that he could work on some details. He then kept the painting for an entire year, altering almost every aspect of the painting. Eventually, the painting made its way to Cassatt’s brother in Philadelphia, where it introduced people to these different approaches to art. “The sitter, Sam White, grew up in Philadelphia,” said Thompson, “He’s the only Philadelphian who is known to have modeled for Rodin. White was a body builder. As a young man he attended Princeton University and then went on to study in Cambridge England. While he was in Europe he was introduced to Rodin who was very taken with White’s physique and asked White to model for him. This is something Rodin often did, he didn’t like to hire professional models, he liked people off the street, people who were untrained, because he felt they were more natural. You got a better sense of their personality and humanity… In gratitude for his work, Rodin presents him with this bronze. For White this sparked an interest in art.” Thompson noted that in the collection there are several pieces later acquired by White, who upon ending his bodybuilding career entered the family business of dental equipment, and with his wife the artist Vera McEntire, became a collector of art, ultimately bequeathing a collection of over 400 objects to the Philadelphia Museum of Art. The exhibit as a whole is an exhilarating visual experience. Several of the works are also interesting in what they reveal about the artist’s process and development. The juxtaposition of a still life by Vincent Van Gogh, most probably painted before he visited Paris, and his bold, bright Portrait of Camille Roulin (1988), the postman’s wife, holding their baby, is striking. Modern Times features works by Pierre Bonnard, Constantin Brancusi, Georges Braque, Mary Cassatt, Paul Cézanne, Salvador Dalí, Edgar Degas, Paul Gauguin, van Gogh, Juan Gris, Vasily Kandinsky, Paul Klee, Édouard Manet, Henri Matisse, Joan Miró, Claude Monet, Pablo Picasso, Camille Pissarro, and Auguste Renoir. The exhibit connects well with a visit to the Tel Aviv Museum’s galleries of Impressionist and Post-Impressionist Art. Additional information may be found on the Tel Aviv Museum of Art website.